Grants are available and listed online, but what about the offers on Facebook? A fake offer from a Facebook friend cost a woman hundreds of dollars. 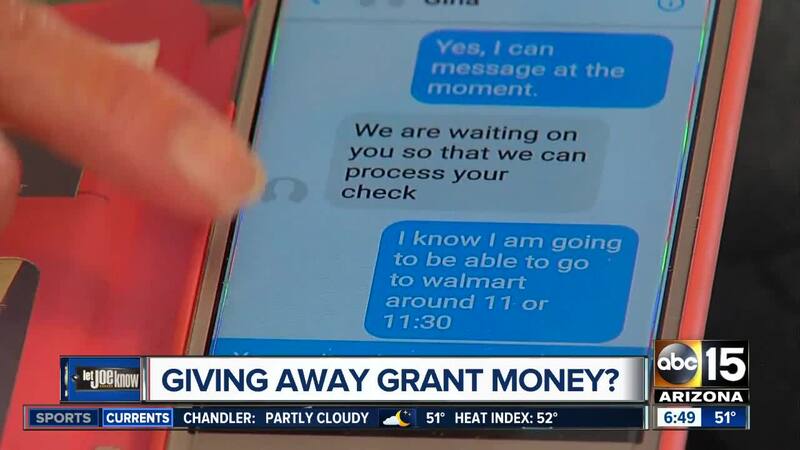 Jennifer Schockley says her best friend Beverly messaged her about a receiving a $50,000 government grant. "She said check into it because there's a possibility I could get it," Schockley explained. And she only needed $700 to get started. She wired the money. But when the friends met up later, Jennifer says it quickly became clear there was a problem. "She said, 'that wasn't me!'" Beverly's account had been hacked, and Jennifer had been duped. The government does have grants, but there is no charge for them. They also are not given away on Facebook and only rarely go to individuals, as opposed to organizations or local governments. Grants.gov is a federal website that lists virtually all the grants available to the public. If you can't find it there, the grant is very likely fake. Jennifer was able to recover some of that money from her bank, but she's one of the lucky ones. Unless a wire transfer is received almost immediately after being sent, it becomes nearly impossible to reverse.